EK Water Blocks, Ljubljana based premium liquid cooling gear manufacturer, is proud to introduce motherboard water cooling solution, this time for GIGABYTE® X99 SOC Champion motherboard. 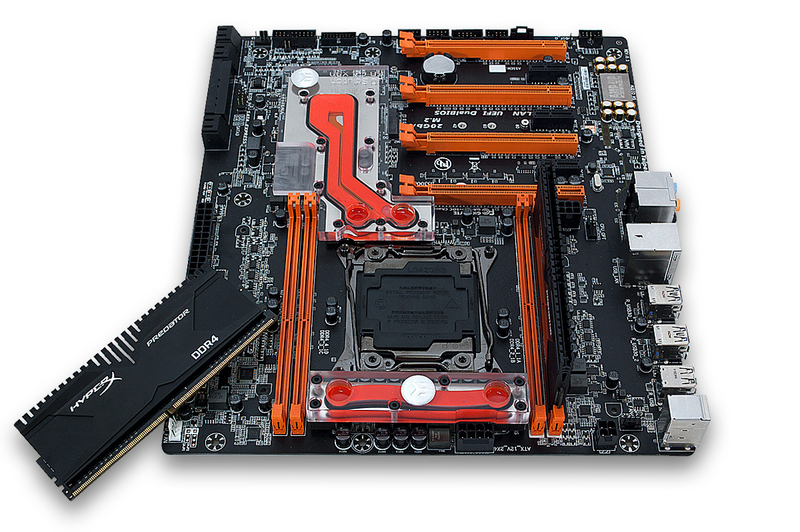 EK-FB KIT GA X99-SOC Champion is a complete water cooling solution for GIGABYTE® X99 series motherboards consisting of two separate water blocks. Please check our Cooling Configurator online compatibility system for detailed compatibility list! 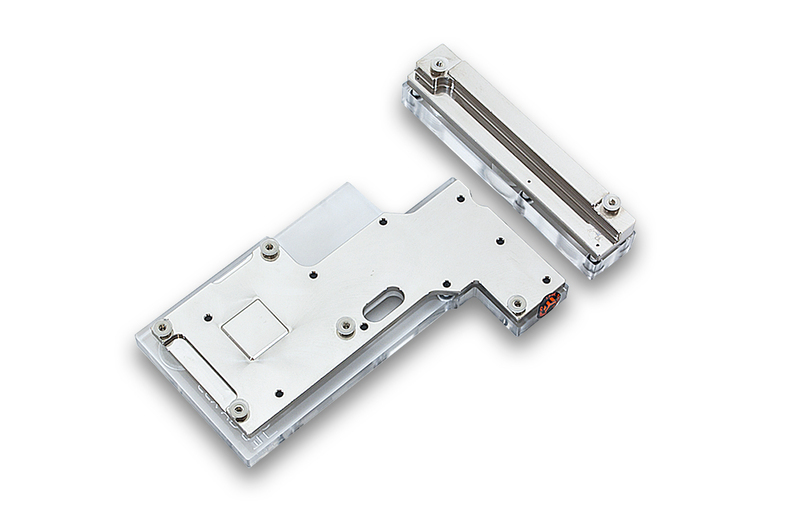 Base of the water block is made of nickel-plated electrolytic copper while the top is made of quality POM Acetal or acrylic glass material (depending on the variant). The screw-in standoffs are already pre-installed and allow for easy and trouble-free installation by utilizing original motherboard backplates. 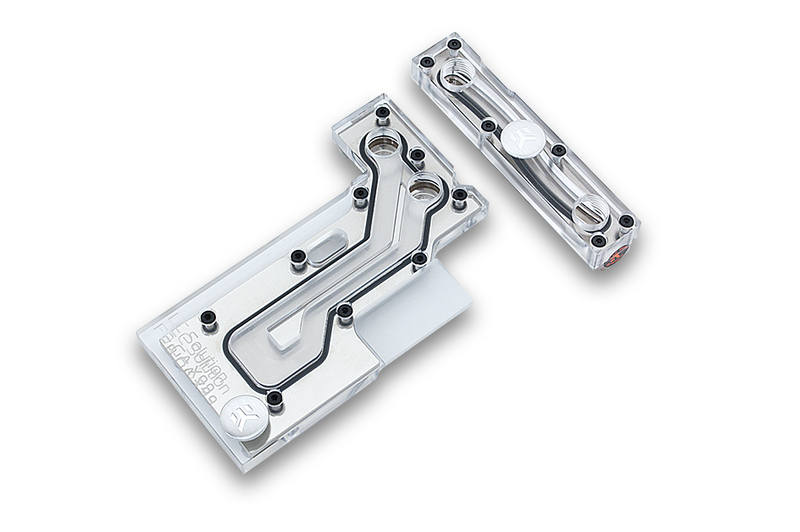 This water block kit is already available for purchase through EK Webshop and Partner Reseller Network.